Powder coating is an advanced method of applying a decorative and protective finish to a wide range of materials and products that are used by both industries and consumers.The powder coating process uses a solvent free dry mix of plastic resins, pigments and fillers that melt and fuse together when heated. The solid particles of coating are electrostatically charged in a spray gun and carried by low velocity air to the surface of the piece to be coated. The electrostatic charge holds the powder particles in place while the part is cured in an oven at the required temperature. The heat of the oven causes a chemical reaction to occur and the powder to cure, creating a highly durable finish. How should the surface be prepped? Powder coating is an environmentally friendly process unlike solvent-based wet paint systems. With EPA regulations growing ever stricter, powder coating is fast becoming the technology of choice. 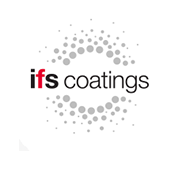 While liquid finishes contain solvents which have pollutants known as volatile organic compounds (VOCs), powder coating contains no solvents and releases negligible amounts, if any, of VOCs into the atmosphere. Elimination of VOCs and reduction of wastes saves money and helps companies comply more easily and economically with the regulations of the U.S. Environmental Protection Agency.In addition, unused or oversprayed powder can be recovered, so any waste is minimal and can be disposed of easily and safely. A Better Solution for the environment. Powder coating gives consumers, businesses, and industry one of the most economical, longest-lasting, and most color-durable quality finishes available.The result is an attractive, durable, high-quality finish. The powder coating process itself offers another advantage -- it is environmentally friendly...virtually pollution-free! Nowhere else are the benefits of architectural powder coating more evident than on the thousands of commercial, industrial, government, residential, historic and institutional buildings from around the world. For 30 years, powder coating has been the finish of choice for a superior, more colorful, longer lasting and more durable finish. Can I Powder Coat Steel? To learn more on how to use powder coated steel visit our colors partner page. Powder Coatings are available in a large variety of stock colors, metallics, textures and special effects. QPC can assist you in choosing the correct coating and color for your application. Clear powder coating serves the same purpose as clear coat wet paint. It protects the underlying finish and adds depth and luster to the surface. Clear powder coat is applied as a second coat and shot while the piece is still hot. Then the piece is returned to the oven for a second curing process. Use clear powder coating on any piece that exposure to elements could cause it to fade or be subject to damage. You will need to make sure the substrate is free of scratches and blemishes as these will show thru the clear finish. You will also want to decide if you want a Satin Clear (can look a bit milky), Semi-Gloss Clear (can’t really tell it’s there) or a High-Gloss Clear (can make the parts look wet). What About Holes with Threads & Other Areas That Need To Stay Coating Free? High temperature masking can be applied to special surfaces such as threads or high tolerance areas to keep them from being coated. We also use high temperature silicon plugs for threaded holes or shafts. Can I Use Body Filler? The high oven temperature makes the use of plastic and resin body fillers problematic. Often the powder will not bind to a filler's surface causing bubbles in the coating. We highly suggest not using any types of body fillers. Need more Information on Powder Coating, please contact us.